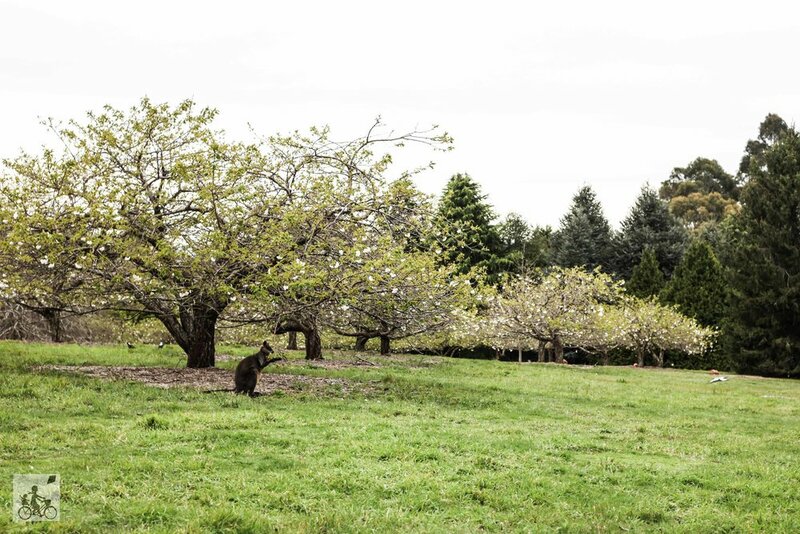 If you have ever searched for a wedding venue in the east, you may have visited these gardens, otherwise, it you may have driven through Olinda and not even known it is there. 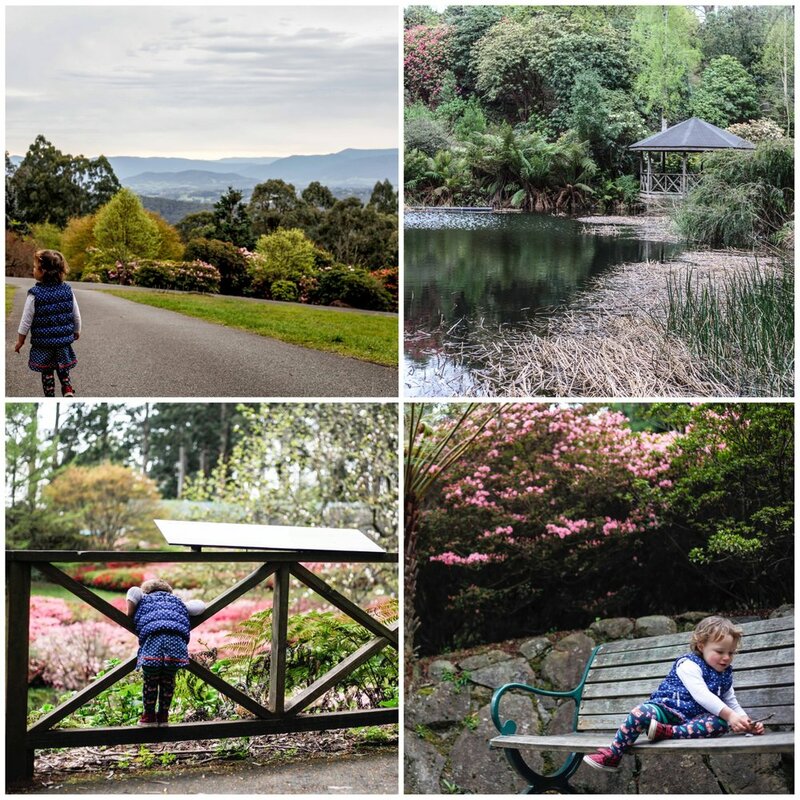 The Dandenong Ranges Botanic Gardens (formally named The National Rhododendron Gardens) are spectacular and it is not just the rhododendrons on display in this MASSIVE acreage. There are garden beds full of colour, fields of cherry blossoms, tranquil ponds and glorious views. Hillsides covered in proteas, the tallest gums possibly in the Ranges and hidden rock ladybirds - not surprisingly each one is called Gaston according to Bubs. The sensory garden is likely to be a hit with the little ones with telephone boxes to chat in, herbs to smell and plenty of birdlife around to spot. Keep your eyes peeled for the rosellas, lorikeets and if you are really lucky, even a wallaby. No matter what time of year there is always something beautiful to see, however, spring time is known as peek season! Mamma's lil' tip: This garden adventure can be as big or as small as you make it. Stay close to the entrance and you will see plenty of colour and beauty. BUT if you are up for it, and well prepared, you MUST keep heading down hill to Serenity Point and take in that view. If only that gorgeous undercover pavilion (with the leaf shaped benches) had been there when Mamma was looking for a wedding spot - it very well could have been THE place. Watch that hill though because of course, what goes down must come up and that is when this place can get a little tricky for little legs. Suggestion - take the toddlers on the trikes that you can push uphill or stick to the pram. Otherwise there are park benches along the way including a spot to play naughts and crosses, when they - or you - need a rest. Another idea is to take a photo of the map on your phone before you decide which trail to take. There are both bitumen and gravel paths running all the way through the park and it can be a little disorientating when you are unfamiliar with your surrounds. But if in doubt, head uphill to find your way home! Mamma's special mention: The gardens, like many in the hills, don't open until 10am. This can be tricky with an early riser and a midday nap (am-I-right toddler Mamma's!). But there is a playground next door, beside the scout hall, if you need to kill some time. click here if you are looking for more great outdoor adventures or here for some family experiences!